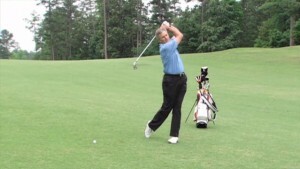 Learn the fundamentals for improving your body rotation on tee shots. 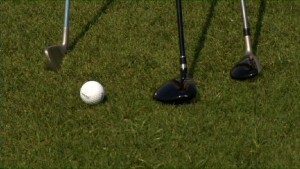 In this video PGA Professional Charlie King shows you how to plant your left foot on tee shots. 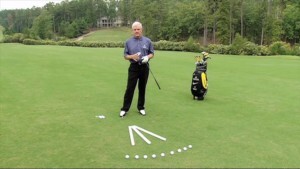 He explains how this helps improve your accuracy with your driver. He relates the technique to a baseball swing and field goal kicking to illustrate how planting your left foot improves your body turn for better power and control. 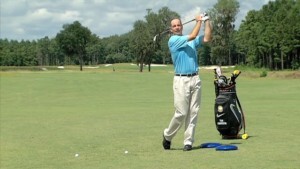 In this video, PGA Professional Adam Smith teaches you how to eliminate miss hits. You will learn about spine angle, head position and swing path. You'll also learn an easy 5 minute drill you can do at home to help you get better balance and posture. By practicing these drills you will reduce your miss hits by maintaining stability through your swing. 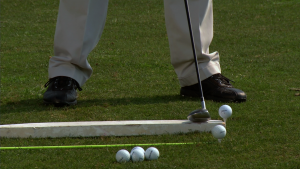 At the end of the video PGA professional Tom Henderson shows you several drills to improve your balance, rhythm and tempo. In this video, Joseph Hallett gives you tips and techniques on how to hit your fairway woods solid. Follow along and learn this simple, fun and effective drill called the aircraft carrier drill. 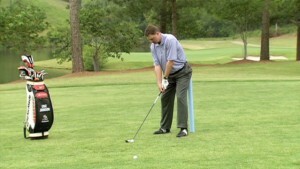 This sweeping drill will help your shots soar! Instructors Suzy Whaley and Gary Bates teach you how to get the most out of your practice sessions by helping you evaluating what facets of your game need the most improvement.